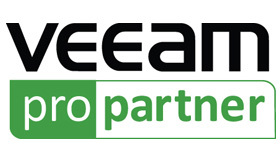 Veeam® Software develops innovative solutions for VMware backup, Hyper-V backup, and virtualization management. Veeam Backup & Replication™ provides Modern Data Protection™ that is Built for Virtualization™. Veeam ONE™ is a single solution for real-time monitoring, resource optimization and management reporting for VMware and Hyper-V. The Veeam Management Pack™ (MP) and Smart Plug-in™ (SPI) extend enterprise monitoring to VMware through Microsoft System Center and HP Operations Manager. Veeam also provides free virtualization tools. Veeam Backup & Replication is built specifically-and exclusively-for virtual environments and provides powerful, easy-to-use and affordable backup and recovery of virtual machines (VMs), regardless of virtual platform, OS, or type of storage. It's agentless to eliminate the complexity and risk involved with licensing, deploying, maintaining and managing agents in VMs. Industry-leading features such as Instant VM Recovery and SureBackup enable organizations to meet their recovery time and recovery point objectives (RTOs and RPOs). And with affordable per-socket licensing and built-in compression and deduplication to reduce storage costs, Veeam Backup & Replication also delivers significant reductions in total cost of ownership (TCO). New capacity planning and oversized/undersized VM reports help you examine trends, perform "what-if" modeling and proactively reallocate virtual resources to manage the growth of your virtual infrastructure. Plus, a built-in VMware knowledge base serves as your VMware "expert in a box" to help you solve problems fast! Veeam SPI provides full Operations Manager functionality for all VMware components, including 500+ events and 175+ metrics for unparalleled VMware monitoring out of the box. Veeam SPI also includes a comprehensive VMware knowledge base that serves as your "expert in a box" to help you identify the root cause of any problem to solve it faster than ever before!